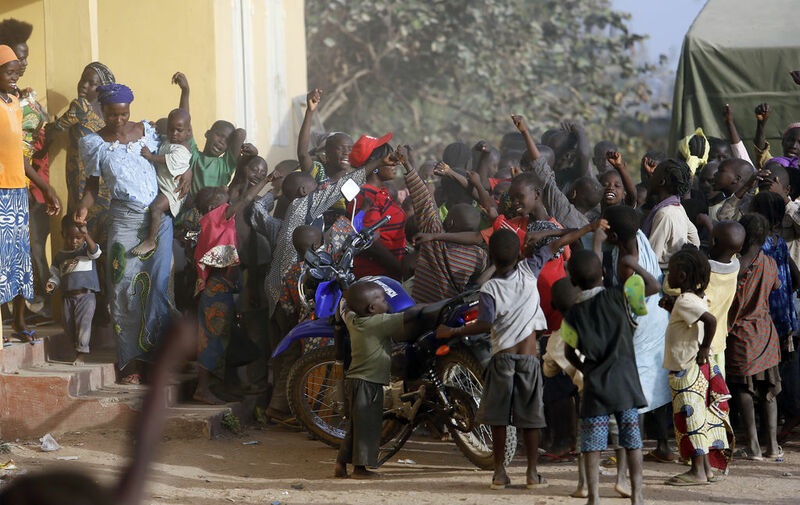 Boko Haram says it is building an Islamic state to revive the memory of northern Nigeria’s Muslim empires, but for those in its the region life has become a litany of killings, kidnappings and hunger. Morris Enoch, a leader of traditional militia hunters is helping the army to fight the Boko Haram insurgence in the northeast region of Nigeria. 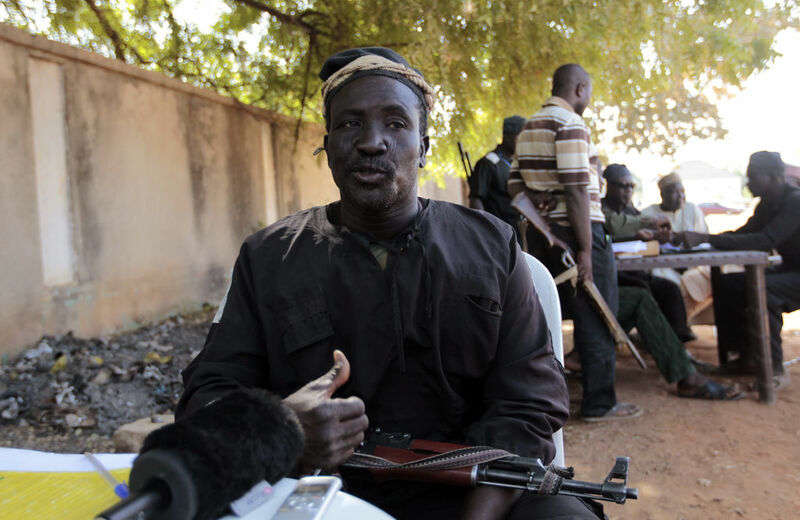 With the help of traditional hunters armed with home made guns and a reputation for “magic powers”, government forces have pushed Boko Haram out of some of its southern possessions. Children displaced as a result of Boko Haram attacks in the northeast region of Nigeria, attend class at Maikohi secondary school. 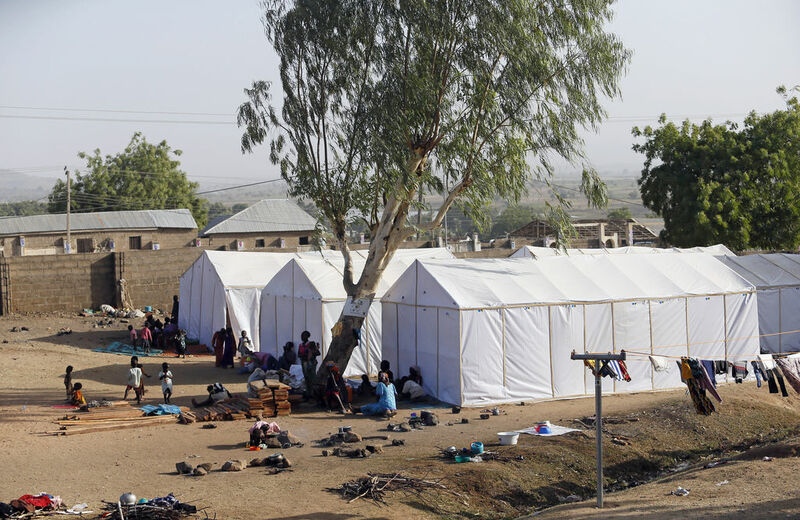 The school is inside a camp for internally displaced persons (IDP) in Yola, Adamawa State. Nigeria’s National Emergency Management Agency (NEMA) has recorded over 500,000 Internally Displaced Persons in Borno – the centre of the Boko Haram activity, and in the states of Nasarawa, Kano, Plateau and Zamfara. The total number of registered IDPs is rising to nearly one million. 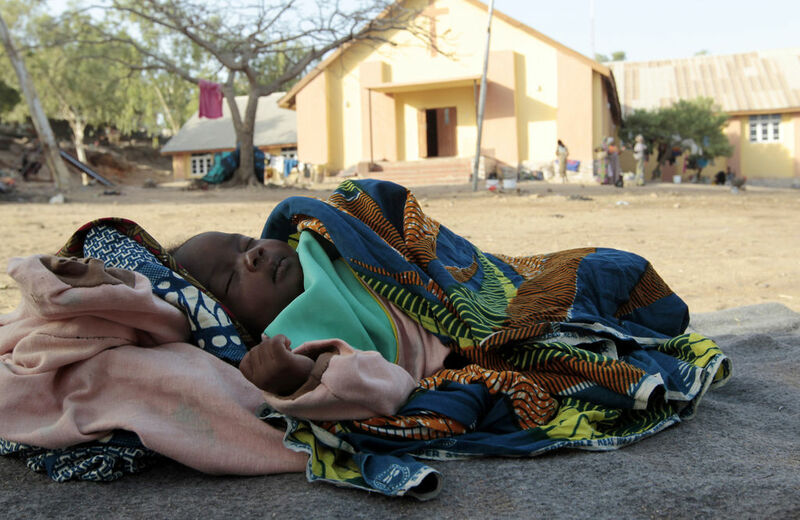 Baby Lurky, whose family was displaced as a result of Boko Haram attacks in the northeast region of Nigeria, sleeps in the shade at a camp for internally displaced people (IDP) in Yola. People displaced as a result of Boko Haram attacks in the northeast region of Nigeria, are seen near their tents at a faith-based camp for internally displaced people (IDP) in Yola. Unlike their Middle Eastern Jihadi counterparts who have courted Syrian with a pretence of bureaucracy and state services, villagers trapped by Boko Haram face food shortages, slavery, murder and a shut down on economic activity. Posted on 21st January 2015 by newsafrica. This entry was posted in #BringBackOurGirls, Africa, African Security, al Qaeda in Africa, Boko Haram, Nigeria. Bookmark the permalink.